Several members of BAPC will participate in the annual Art Span Benefit Auction, Saturday, April 13 at SOMArts Cultural Center. Participating members include: Jack Androvich, Linda J. Fitch, and Erin K. Malone. 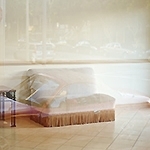 Charlotte Niel has an image in the upcoming show, Stories, Memories and Histories, at the Center for Fine Art Photography. The show is from March 29th-May 25th; the Artists’ and Public Reception is on April 5th 6-9pm. The Center for Fine Art Photography, 400 North College Avenue, Fort Collins, CO.
Group discussion on the upcoming exhibition theme Horizon Line Reconsidered. Malcolm Easton exhibits in Of Memory, Bone and Myth IV, juror Olivia Parker. Rourke Museum of Art, 521 Main Ave., Moorhead, MN.